Bozeman and its surrounding communities in southwest Montana are defined in large part by long, cold winters and the enthusiastic embrace of an active lifestyle. Home to iconic places like Yellowstone National Park, Big Sky, and Bridger Bowl, the area is renowned for winter sports like world-class alpine, nordic, and backcountry skiing, ice climbing, wildlife viewing, and snowmobiling. The region is also increasingly popular for ice skating – an affordable lifetime sport that is enjoyed by people of all ages. The history of organized skating in the area stretches back more than three decades, to 1982, when the Bozeman Amateur Hockey Association (BAHA) began providing organized hockey programs to youth and adults. Building not only skills and fitness but a strong sense of community around ice-based sports and recreation, BAHA provided the impetus for the development of the community’s original open-air rink at Bogert (city) Park. Hockey and recreational skating steadily grew in numbers and strength through the next decade, making it clear that a refrigerated ice facility was needed to provide longer and more reliable ice for these growing programs. 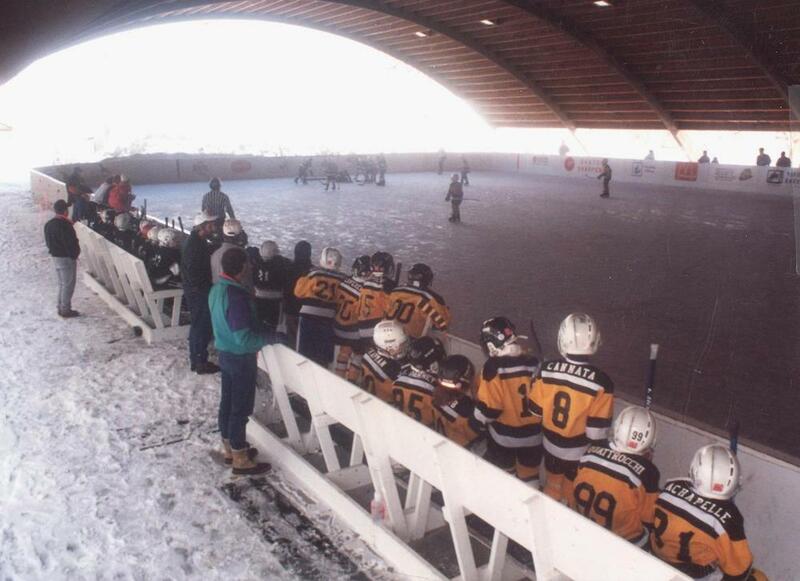 BAHA was a driving force behind the momentum and resources for such a facility, resulting in the construction of the community’s current refrigerated ice skating rink, Haynes Pavilion, at the Gallatin County Fairgrounds. It opened to skaters in 2000. Around the same time, a second facility west of Bozeman—the Valley Ice Garden—was completed by private investors and owners to house a new Junior Hockey Team. The period from 1996-2006 saw exponential growth in community interest in hockey and ice skating. The Bozeman Figure Skating Club (BFSC), in particular, grew and thrived during this period. Rather suddenly, in 2006, the Valley Ice Garden was shuDDered. Despite being a first-class facility and a valuable community asset, the facility’s large size (seating 3,500) and associated operating costs forced its closure due to financial and other considerations. With the Ice Garden closed, hundreds of hockey players and figure skaters were left without a place to skate. They migrated to the only indoor sheet of ice available: Haynes Pavilion, at the Fairgrounds. This influx of users immediately exceeded the available ice, and some skaters left their programs. BFSC, was particularly hard hit. Once a renowned training club for competitive, sometimes national-level skaters in Montana, they lost 80% of its competitive members after the Ice Garden’s closure. Similarly, recreation-based figure skating program numbers plummeted from several hundred to less than a hundred. To address this challenge, the local skating community undertook a couple of initial, important steps to set us on the path to “Raise the Ice Barn.” First, by agreeing each group was stronger working together, BAHA and other ice-user groups created the Gallatin Ice Foundation (GIF) in 2006 as a separate non- profit organization charged with planning and fundraising to expand recreational and competitive ice skating, including helping to support the development of an expanded, year-round ice facility. Second, by meeting the near-term challenge in 2006-07 of raising more than $750,000 to upgrade Haynes Pavilion to extend the season by two months and accommodate increased use following the Ice Garden’s closure. Approximately $876,000 worth of equipment from the Ice Garden—including boards, glass, Zamboni, and an ice plant —was also donated toward the second building project. Since 2007, programmatic need has clearly continued to grow at a rapid pace. The existing rink at Haynes Pavilion has been the only enclosed ice facility in a region bordered by Helena and Butte (2 and 1.25 hours’ travel, respectively) to the west, Billings two hours to the east, Great Falls three hours to the north, and Idaho Falls three hours to the south. The exponential growth of the area’s hockey programs, figure skating, and recreational skating programs for community organizations and the public has created a demand for available ice time that far outstrips the current facility’s capacity.